We have the answers for you of what there is to see in Austria . where to start and how do you organize your visit? 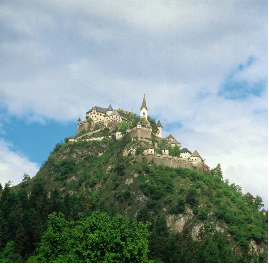 There is an abundance of natural and man made sites and attractions for you to see and enjoy on your visit to Austria. One of the most beautiful countries in the World to see, as if it where created by a great master artist. The Austrian Alps are the center-piece of the country and the many villages town and the grand cities enhance it even more. art Galleries full of artistic treasures, Opera houses and Concert Halls where the greatest composers of all time once played. The architectural wonder of magnificent cathedrals and churches large and small. Austria has great architecture from every age throughout the country for you to see and marvel at. Our itineraries will blend the man-made and natural wonders of Austria, for you to see and experience. Our Itineraries will guide you through the Austrian Alps, the provinces and regions towns and villages of the country to the natural , recreational and cultural attractions, most scenic mountains, lakes, valleys,rivers, towns, that make the most of what you can see and enjoy in Austria. Our travel itineraries of Austria have complied the most interesting and rewarding sites and locations that we know you will enjoy. We will take the work and hassle out of the planning of your wonderful trip to Austria. directions on how best to get there, where you can Park, what public transit you could take, the important info and details of each site / location / venue, and with scheduling enough time for you to enjoy and really see what you want to see ! where to start and knowing what there is to see. Our 7 day itinerary will give you an excellent introduction to the country, lining up the greatest attractions and sites as well as so many others in a easy way for you to follow and experience. This itinerary includes detailed daily itineraries to see the most out of the cities of Vienna and Salzburg as well as a very rewarding trip though the Austrian Alps. A 14 day trip to Austria will allow you the time to take in so much of what the country has to offer, with opportunity to do a lot of site seeing as well as to enjoy the great recreational possibilities and culture of the country. This itinerary will assist you greatly to travel through the country and take in what there is to see as you follow the itinerary and make your way on an amazing self guided tour. A very well organized itinerary that will guide you to what there is to see in the different provinces and regions of Austria for an amazing travel experience. This itinerary includes the major cities and many towns across Austria and all the historical cultural and natural attraction that they have. Our Viennese itinerary has all the information on what there is to see and experience in this great capital. From palaces to museums and great concert hall to many sites well worth seeing in the sourounding province of Niederoesterreich. 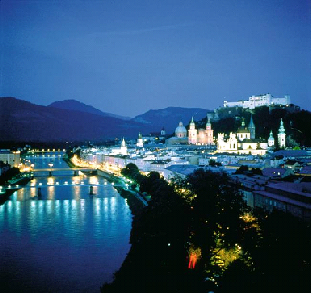 Salzburg has much to offer visitors and our Salzburg itinerary will show you what there is to see in this most famous city of music and architectural marvel. Beyond the magnificent city of Salzburg our travel guide will make it easy for you to see what there is in the rest of the province to enjoy on your trip to Salzburg. A 7-8 day travel experience for you to enjoy as you follow this itinerary of the green province. 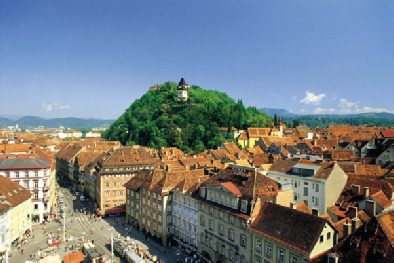 The itinerary will guide you to discover the quaint provincial capital of Graz and to what there is to see throughout the entire province. The marvellous hi-lights of Steiermark will impress you including festivals historical and natural attractions, among them some of the most impressive mountains of the Alps ! An amazing 14 day itinerary of Austria from East to West, guiding you to see all what there is to see in one of the most beautiful countries in the world.